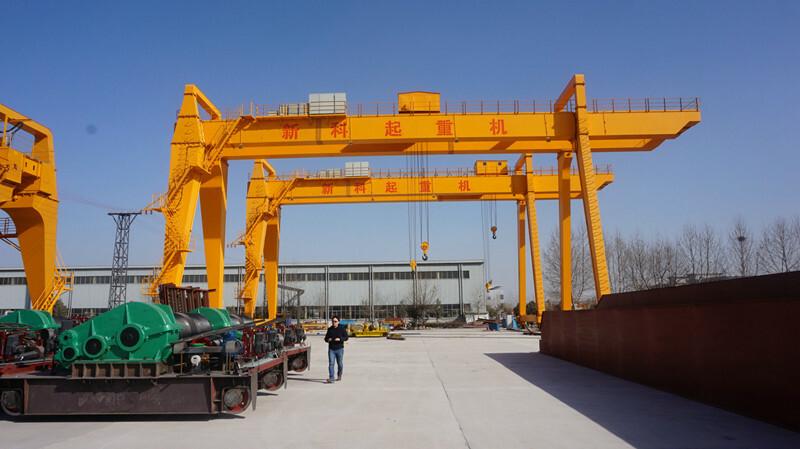 Normally there will be two lifting trolleys on the gantry cranes or double gantry cranes share the same track and work together when lifting building materials. 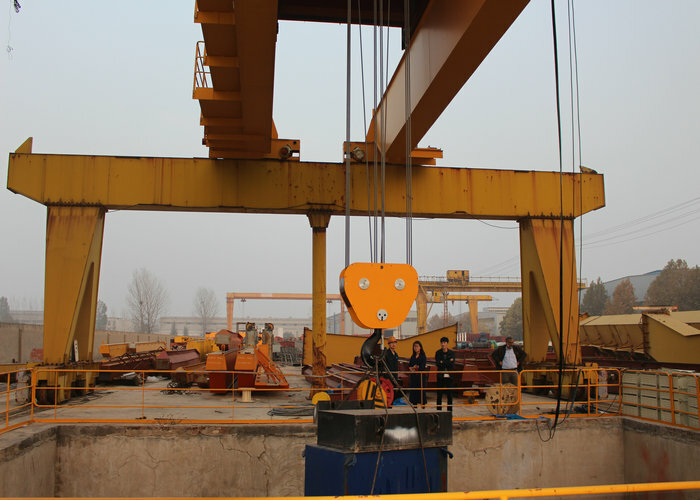 The lifting weight is generally 100 to 1,500 tons; the span is 185 meters; the lifting speed is 2 to 15 meters/minute, and the inching speed is 0.1 to 0.5 meters/minute. 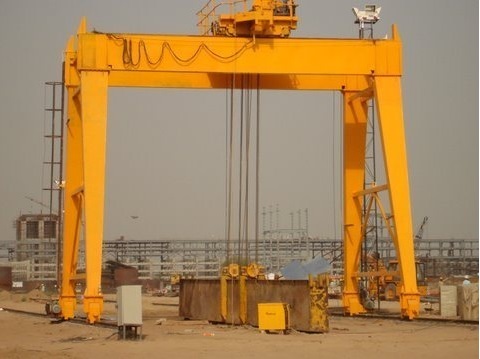 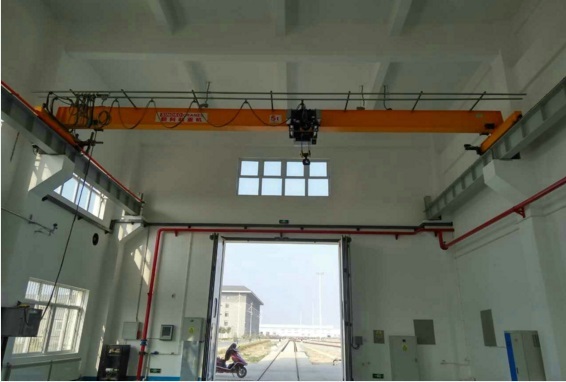 1.This type building gantry crane is applicable to bridge construction, highway constructions, inland wharfs, container yards, railway freight stations, coastal freight yards or frontier wharfs. 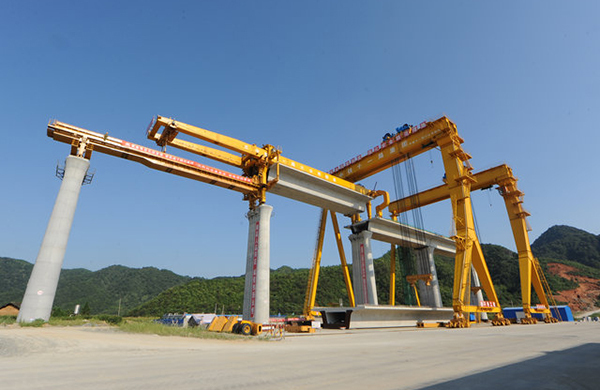 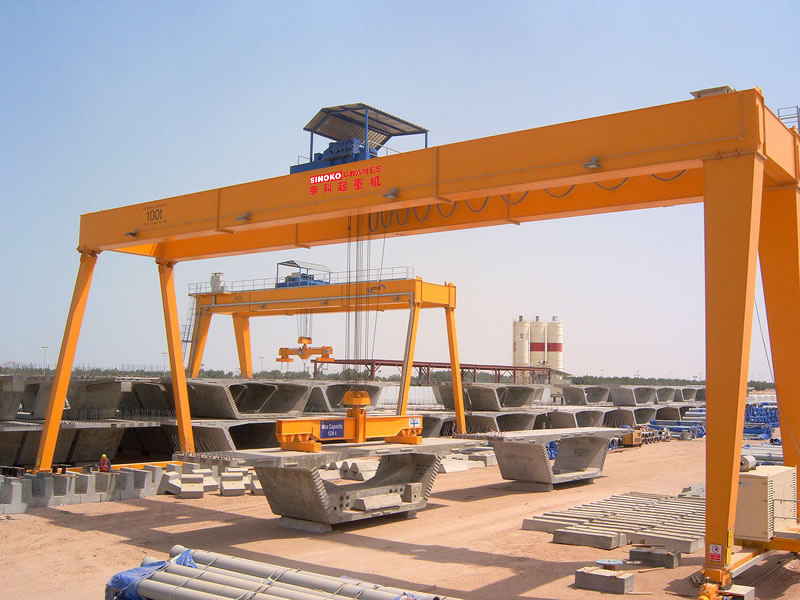 2.Normally there will be two lifting trolleys on the gantry cranes or double gantry cranes share the same track and work together when lifting building materials. 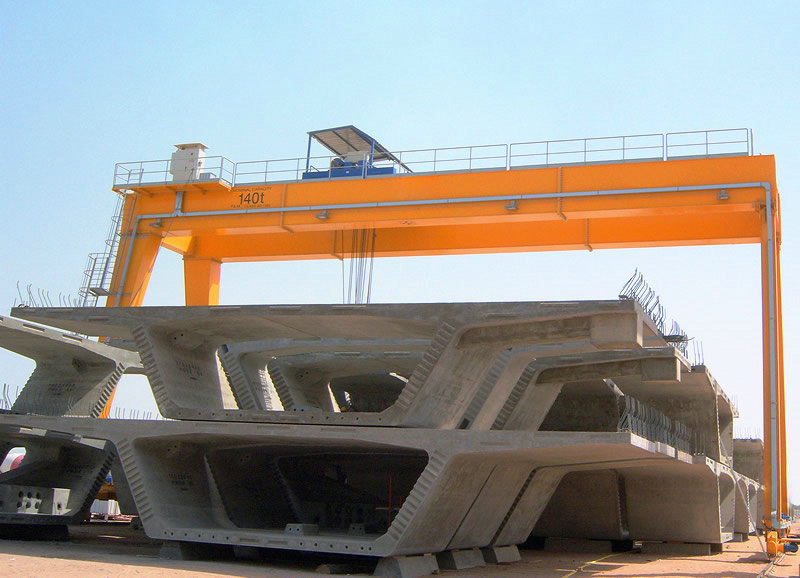 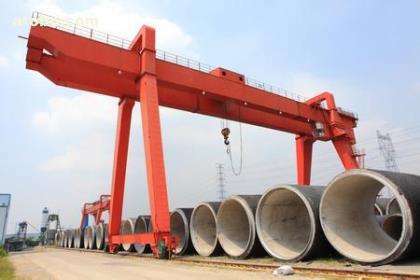 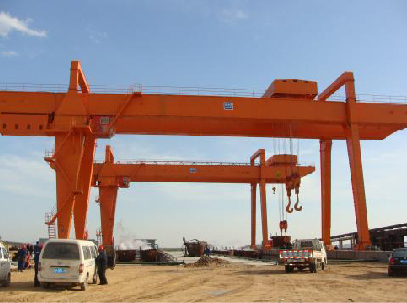 3.If lifting containers, the gantry crane will be equiped with rotating spreaders for handling container smartly. 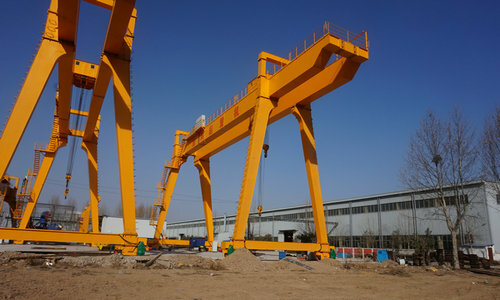 3.Can be equipped with our company's independent research and development of flexible two-way anti-swing technology. 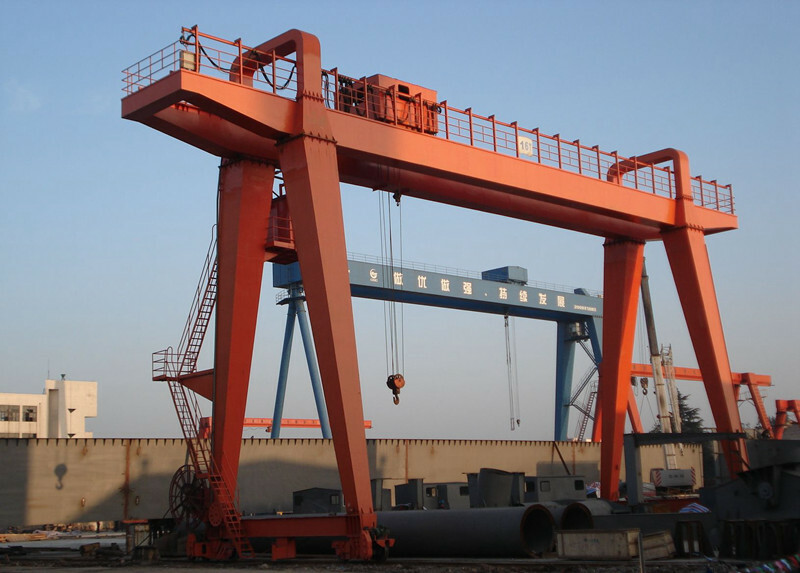 4.The three-in-one speed reducer is used for the operation mechanism of large and small cars to facilitate maintenance. 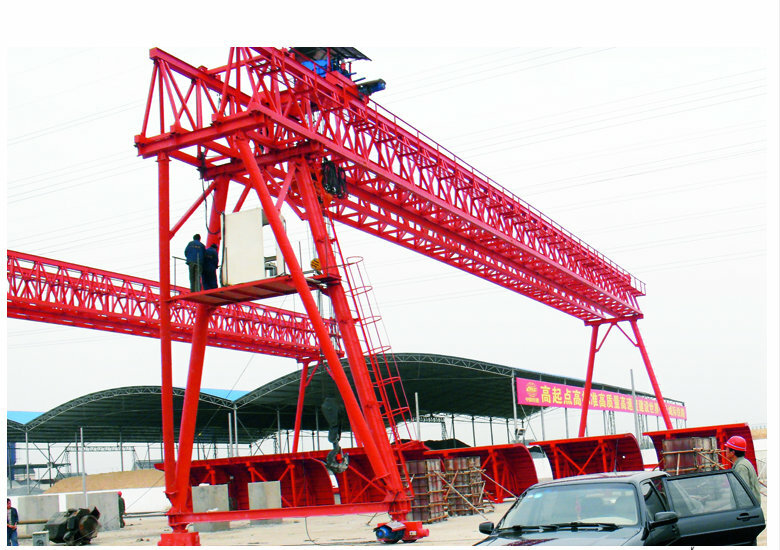 4.Equipped with anemometers, lightning rods, anchors, clip rails, and windproof cables.